Spray foam insulation prevents air leakage by forming a tight air barrier around your home. Home owners in Nashville TN are able to lower their energy bills by up to 40%! Spray foam insulation is much more energy efficient than tradition pink fiberglass insulation. Spray foam insulation is also much more noise resistant and protects your home from dust & pollen. APEX Building Company the offers the best and most durable Spray Foam Roofing systems available on the market. 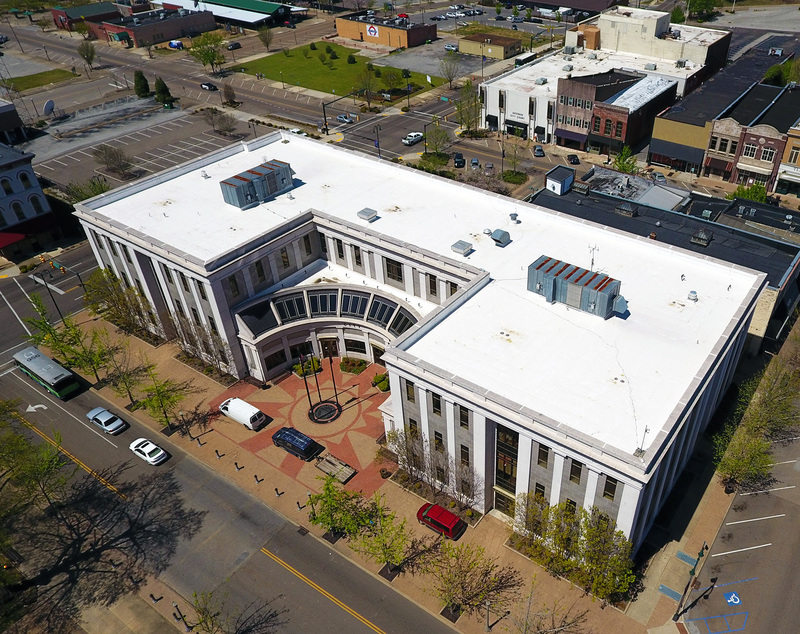 We pride ourselves in providing top notch Commercial Spray Foam Roofing, Waterproofing, and Caulking solutions right here in Nashville and all across Tennessee! 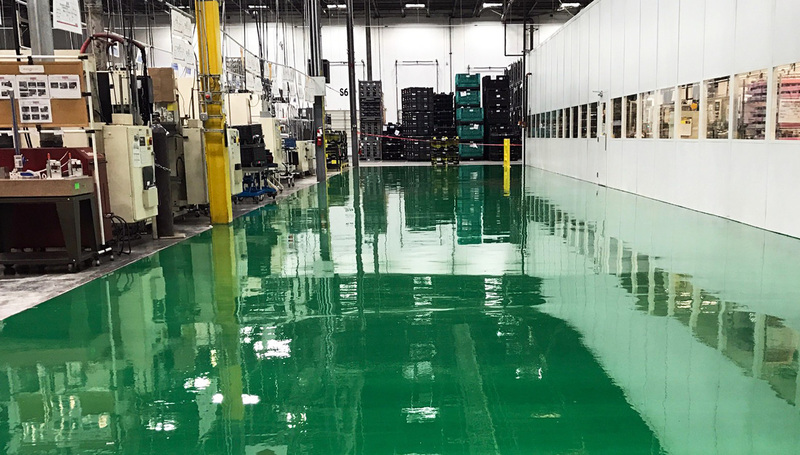 APEX Building Company provides high quality epoxy & polyurethane industrial floor coatings to Nashville, TN, and all across the South East. We provide industrial & commercial floor coatings to new construction sites as well as already existing concrete flooring. If you're looking for concrete floor coatings for the high traffic areas inside your structure, APEX has a solution for you! We love the spray foam you did for our home. Added 900 square ft, you put 6″ foam in our roof 3 years ago over the upstairs addition. Our energy bills didn’t go up a penny – just shows how much heat we were losing in the winter and letting in the attic in the summer. Great investment! I have seen the Spray Foam system before, but only in the home improvement shows on TV. I was introduced to APEX by my contractor, and was convinced to try it on my home in Nashville TN. Couldn’t be happier! Great return on investment. Apex was very professional and knew about the product they were selling. I talked to several spray foam contractors and none of them were as knowledgeable as Michael at Apex. They cleaned up well and made sure things were done to suit me. I Highly Recommend them for anything spray foam or insulation! Apex Building Company provided whole house residential spray foam insulation for my new home in Jackson, TN. They did an excellent professional job. I would recommend them for any insulation job of any size! I hired this company to spray insulation into my newly built steel construction home. They came in and did a very professional job enclosing the entire shell with open cell foam, sealing every conceivable leak. I have been very pleased with the results and ascribe my low utility bills to it! Apex Building Company LLC provides spray foam insulation to Nashville TN, Memphis TN, Jackson TN, and all across the South East! 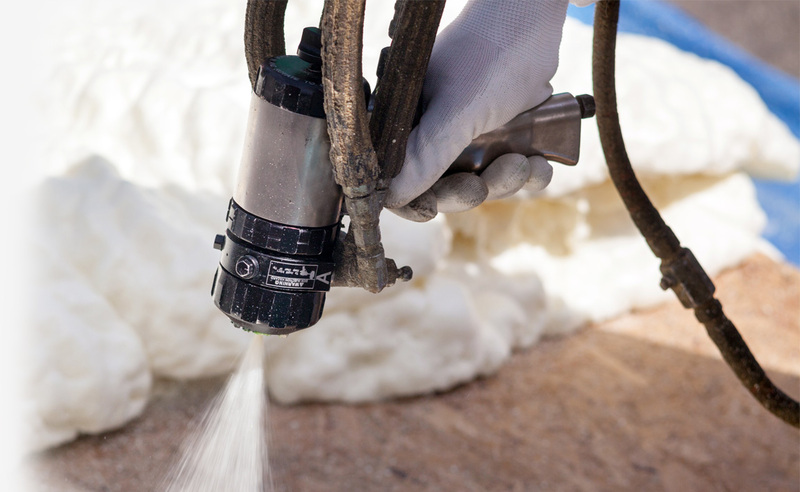 Our spray foam insulation services in Tennessee are based on building science and the principles of home performance contracting. If you are looking to reduce your heating and air costs and make your home more comfortable, give us a call!